Lisa Gabriele (L.G.) I loved Tana French’s “The Witch Elm.” It has everything I love in a suspense novel, breathtaking writing, a questionable narrator (in this case the feckless, privileged Toby), a rambling old house, and a creepy skull found in the hollow of an old tree. Besides being insanely tense, “The Witch Elm” is an excellent case study of a man for whom life has always been easy, and what it reveals about his character when things take a dark turn. MAG. : Hollywood pitches are very brief. 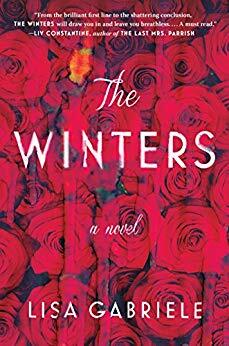 How would you pitch “The Winters”to the movies in ten words or less? L.G. : It’s Rebecca via Mean Girls with a surprisingly twisty ending. L.G. : Seeing “The Winters” on a “best of” list in this magazine is deeply gratifying. 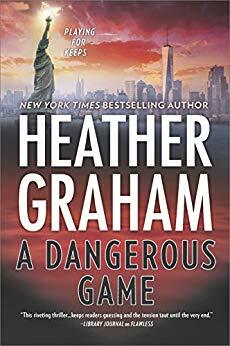 It means my book—my first stab at this genre—really resonated with people who know a thing or two about suspense novels. It also means I might have to take another stab at this genre with my next book. L.G. : There’s a book coming out in a few months, by Taylor Jenkins Reid, called “Daisy Jones and The Six.” It’s written in several voices, in the manner of an “as told to” exposé you might find in Rolling Stone magazine. Each band mate is interviewed about the sudden and mysterious dissolution of the insanely popular band they belonged to back in the ‘70s. It’s also a love story, but not between the obvious people. It’s so clever, tense and moving. I couldn’t have written it, but I wish I could steal that format. Trouble always finds her . . .
Gracie Richards wasn’t born in a trailer park, but after fourteen years of learning how to survive in The Hollow, it’s all she knows anymore. At least here people don’t care that her dad was a corrupt Austin cop, murdered in a drug deal gone wrong. Here, she and her mother are just another family struggling to survive . . . until a man who clearly doesn’t belong shows up on her doorstep. Suspense Magazine (S. MAG. ): What can fans expect to see from you in 2019? K.A. Tucker (K.A.T. ): I write in multiple genres and right now I am finishing up a contemporary romance/women’s fiction blend called “Say You Still Love Me,” out in June. But, I’ve been sitting on a psychological suspense idea that I hope to have time to begin plotting next year. K.A.T. : I cannot begin to express the honor I feel for having my book selected by Suspense Magazine. 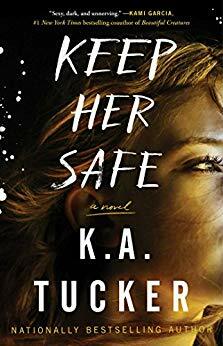 I am proud of all of my books, but “Keep Her Safe” challenged me as a writer in a way that no other book has, to date. It feels validating to have the end result of that hard work recognized, and by people so in tune with this genre. K.A.T. : My philosophy for strengthening my writing craft has always been and will always be this—read broadly, research curiously, and write voraciously. Do these three things and your writing can’t help but improve. There is always room for improvement, no matter the writer. Be the first to comment on "Best of 2018 “Romantic Suspense” Category"